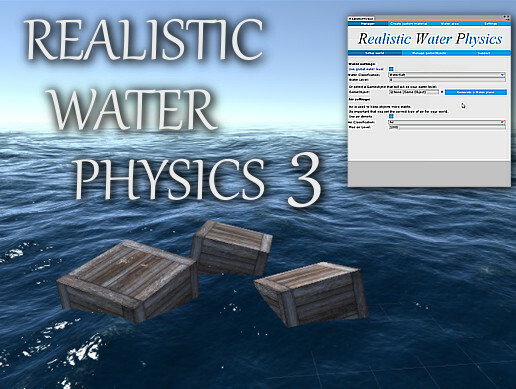 This asset provides the tools for any developer to make there game objects float in water. With a build-in, easy to use interface there will be no need to code anything at all. – No extra Layer or Tags required. – Works with the existing unity physics engine. – You can connect child’s to the parent to act as 1 object, and link/unlink them in runtime. – You can use joints to link objects together. – No need to set or worry about the density. – Easy to use interface, no need to drag with scripts. – Will not set velocity of objects, but will use force. – Able to use with any Mesh/Collider. – Automatic checks to make sure nothing goes wrong. – 93 build in presets! – A interface to allow you to create your own presets. – Support for multiple water areas at different heights. – Unlock support with a press on a button. – Build in Habrador Water system, allows you to generate water waves. – Supports the most popular water systems in the unity asset store. We are also supporting other water assets! 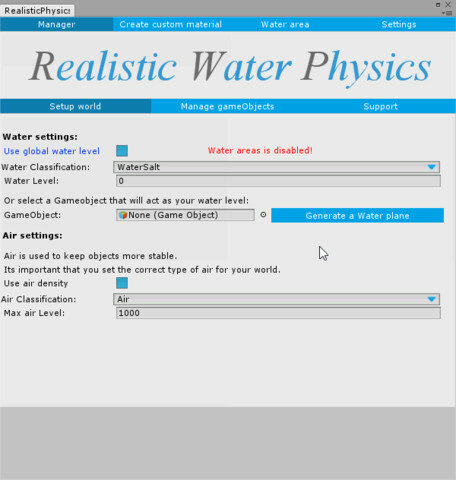 This means that with the interface in this asset you can make your game objects float in other water systems. The only thing you need to do is install one of the fallowing assets and press the Unlock support button in the interface, that is! – Ceto: Ocean (no longer available in the asset store) but still supported! 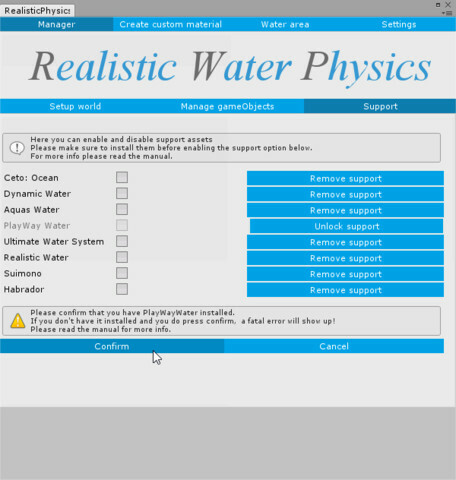 – PlayWay Water (no longer available in the asset store) but still supported! If you like to see another water asset be added to the support list, contact us here. – A water area demo. – A boat driving demo. – A player controller demo. There are also a few example/demo scripts in the asset that can be used.